Hannibal may be cancelled, but the good people at Propstore are holding a very special event. For three weeks you too can take home a nibble of everyone's favourite NBC cannibal show. Fannibals rejoice! The show may be cancelled (we are still mourning into a bloody tissue), but the good people at Propstore are holding a very special event. For three weeks you too can take home a nibble of everyone's favourite NBC cannibal show. Running from March 21st and bids closing April 4th-8th , Propstore has over 1300 lots from all three seasons of the show. 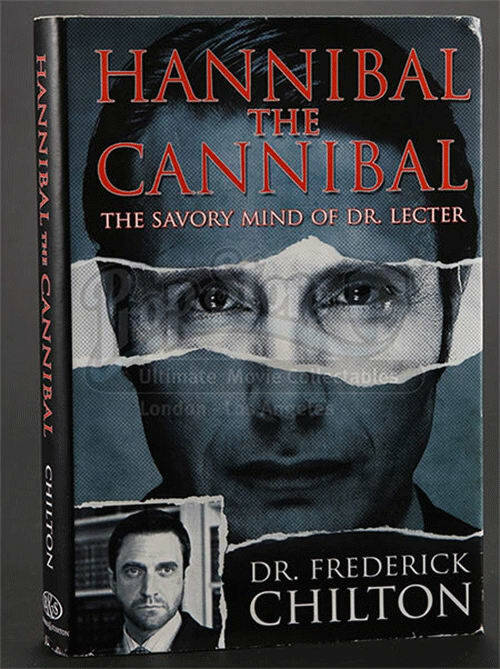 Items include everything from Hannibal's own kitchen meat grinder, to a samurai suit and even Mason Verger's pyjamas. You can buy prop knives from the climactic battle of the Season 2 finale "Mizumono", or Frances Dolarhyde's burned scrapbook from the last ever episode, "The Wrath of the Lamb". Asking prices range from FBI access cards at $10, to the creepy Wendigo bust at $1,400. Those with deep pockets can take home a three piece suit worn by the titular Mads Mikkelsen for $350, or Hannibal's intricate coffee maker for $500. For The more macabre amongst you, you can own FBI crime scene images, psychopath Abel Gideon's case files, or some of Hannibal's infamous 'wounded man' illustrations. Top 5 Fannibal props to bid on. 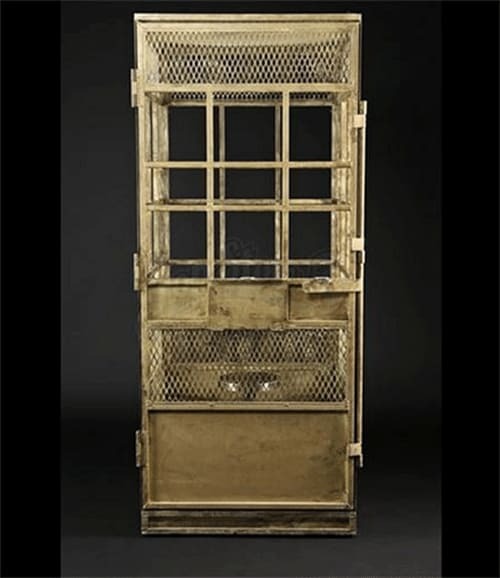 Will Graham's Incarceration Cage - Asking price $20. 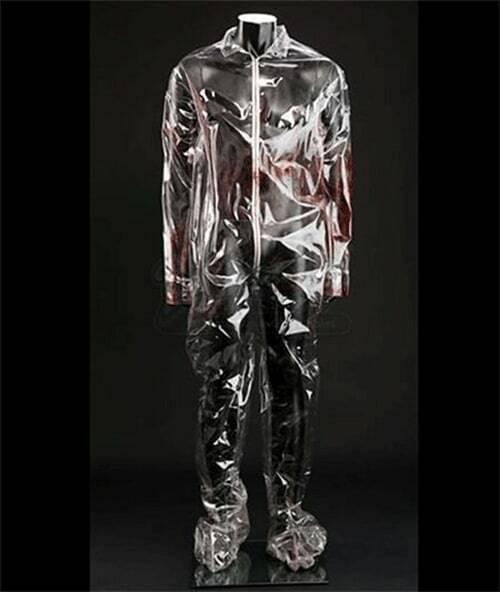 Hannibal's Vinyl Kill Suit - Asking price $60. Dr Chilton's Book - Asking price $100. 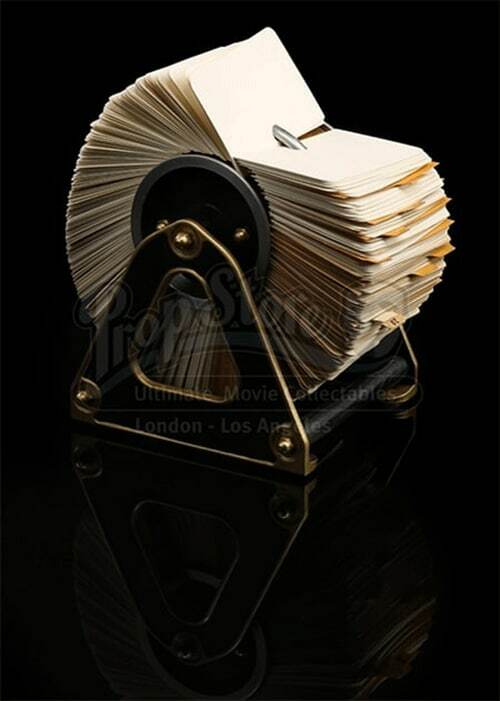 Hannibal's Rolodex - Asking price $1,000. 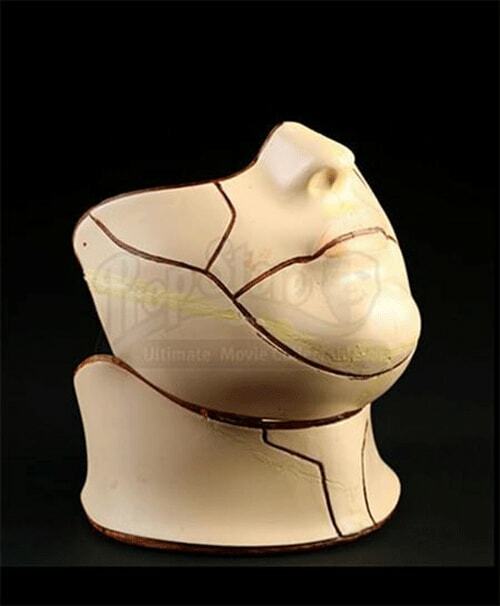 Mason Verger's Face and Neck Guard - Asking price $400. An impressive array consisting of pretty much anything a true Hannibal fan could want to own. Can you see yourself parading around the living room in Mads Mikkelsen's smoking jacket? You can check out the rest of the lots here, so happy hunting Fannibals! Jason Momoa, We Love You!